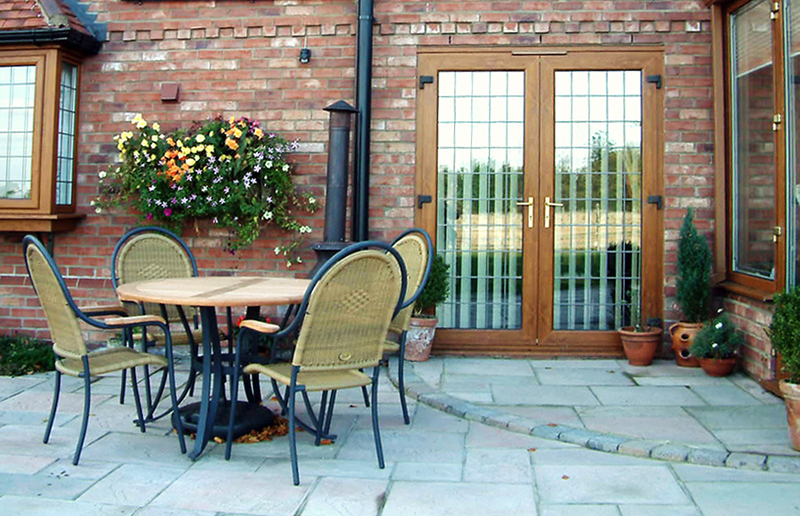 Introduce your kitchen, living area or extension to the outside with uPVC French doors. Stylish, secure and thermally efficient – our double delivers performance and aesthetics in equal measure. And, with such a wide range of colours, woodgrain foils and hardware to choose from, customising your product to suit your home in East Sussex. Our stunning range of uPVC French doors can be tailored to suit the needs of any home improvement project. Create the perfect entrance by choosing uPVC French doors from A1 Glass and Glazing. uPVC French doors offer more than just ornamental value – when fully opened, they will frame beautiful views of your garden and create a seamless connection point that sits between your home or extension and the outside. During warmer spring and summer months, you’ll be able to fully open your uPVC French doors to allow in plenty of cool air. Your home or extension will be well-ventilated as a result and won’t suffer from the build-up of condensation. Additionally, during colder months, your uPVC French doors will prevent heat from escaping. Wooden doors look authentic and will tie-in seamlessly with the architectural style, layout and themes of an older property. But wood is also prone to rotting, flaking and warping if it’s improperly maintained. Our uPVC French doors can be customised to look just like timber when you choose from our extensive range of RAL colours and woodgrain foils. Contact us for help designing a door for your East Sussex home. To ensure our customers in East Sussex benefit from the uPVC French doors of the highest quality, we’ve chosen to partner with Deceuninck. This means we’re able to install stunning looking double glazing that delivers market-leading performance. 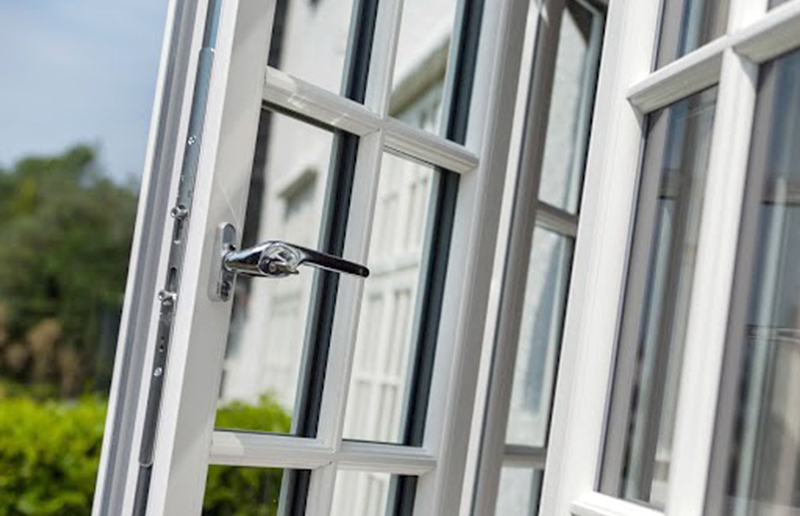 Request a free online quote to discover how affordable our uPVC French doors are. Deceuninck uPVC French doors can open inward or outward, which means you have more control over the eventual design of your double glazing. Their strong construction means they won’t easily conceded to damage caused by weather or other mitigating factors – so your new doors will continue to deliver value for many years to come. Over time, the extreme nature of the British weather can cause double glazing products to peel, flake, blister and contract. Our incredibly strong uPVC French doors will resist damage ordinarily caused by salt air, corrosion and water. Instead, they will continue to deliver enduring aesthetics and dependable performance. Keeping your home in East Sussex safe is your priority. The locks and hinges included in our uPVC French doors will keep your property protected from almost all attempts to gain illegal access. You can also upgrade your door to include additional features that will enable it to meet Secured by Design standards. A1 Glass and Glazing has four decades of industry experience. We are also members of FENSA, which means the quality of the products and our service is continually monitored to ensure it meets a very high standard. You can depend on us to give you the right advice and install uPVC French doors that will suit your home in East Sussex. When you contact us, we’ll be able to help you with other aspects of your home improvement or refurbishment project. Complete the design of your new orangery with our high-performing Deceuninck uPVC French doors and uPVC casement windows, then complete the ensemble with one of our stunning roof lanterns. Get in touch with A1 Glass and Glazing today by calling 01273 676750 or sending us a message. You can also use our free design tool to generate uPVC French doors prices and quotes for almost any other product listed on our website – and as many times as you like. We look forward to helping you with your requirements.